Looking for Informal Arrangements in the Manchester area? Well you've come to the right place, here at Simmonds & Co we have the advice you need! With over 40 years experience, we have the knowledge and expertise to get you back on track in no time at all. 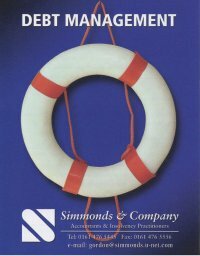 If you are sinking in debt and cannot keep afloat let Simmonds & Co throw you a lifeline. We are a well established and renowned firm of Licensed Insolvency Practitioners who work in and around the Manchester area providing customers with Informal Arrangements services. The principal GORDON SIMMONDS has over 40 years' experience dealing with both corporate and personal insolvency.